Ok, now I’m going to add weapons to the aircraft. First step is to see the sidebar. After adding an aircraft via the means described in the previous post, click on Magazines. 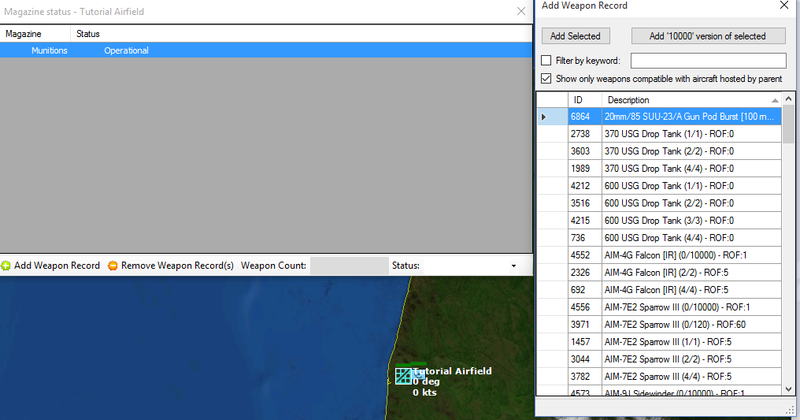 Then go to “Add Weapon Record”, and you should only see weapons compatible with the aircraft hosted on the base. Add as much as necessary (never hurts to add more), then check on “Aircraft”. You see what the base allows. For the sake of the editor you can use “ready immediately” to save time. To help players with this, I’ve made an unconventional scenario. Players need not add the exact type of plane I did to get a fighter airborne and shoot down the target. All you need to do is edit in an aircraft, arm it, and shoot down the transport. The scenario can be found here. 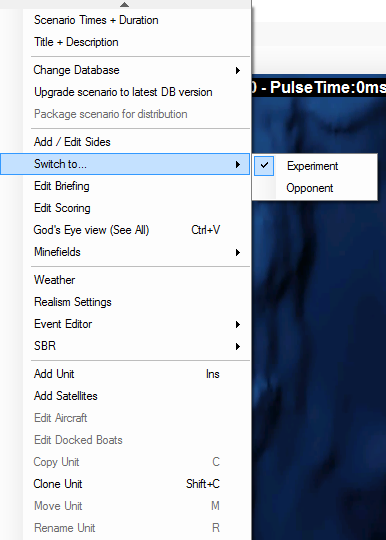 The best feature in the game Command: Modern Air/Naval Operations is its scenario editor. The editor is extremely fast, extremely efficient, and capable. Not only can you have a Liaoning group in the South China Sea, but said carrier group can be built in just a few minutes. And its Filipino/Vietnamese/American/British/Syndicate opponents can be added in just as short a time. The editor is so good that many players (myself included) spend a lot of time just goofing around in the editor rather than playing or making real good scenarios. That being said, like everything else, the scenario editor takes some training. So I’ll start with the very basics. 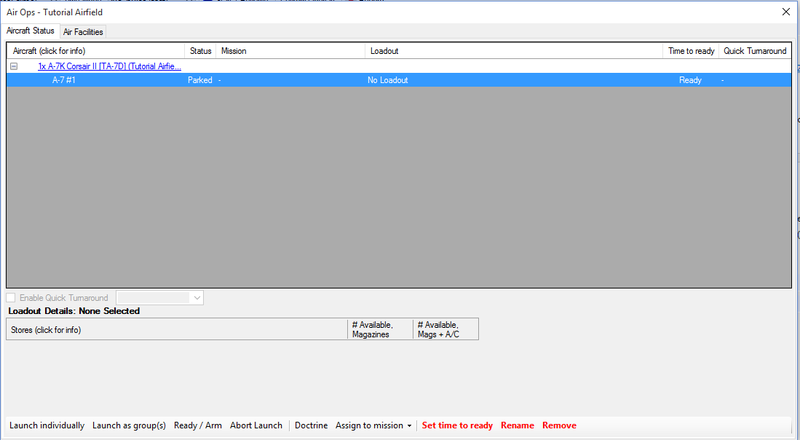 To get into the scenario editor, click on “Create new blank scenario.” You should see a blank map of the world. Use the arrow keys to move around and mousewheel/X and Z keys to zoom in and out until you get to where the scenario is supposed to take place. (One advantage of the giant world, as opposed to restricted maps like in the old Fleet Command, is that you can make a geographically big scenario, with reinforcements coming from far away). The “Editor” menu will be used a lot. First is the DB selection-since this will reset everything else, it’s important you do that first. There are many DB builds, but nearly all are to ensure backwards compatibility with older scenarios. Choose either the latest version of the (default) DB3000 (1980-present) or the CWDB (WWII-1980). 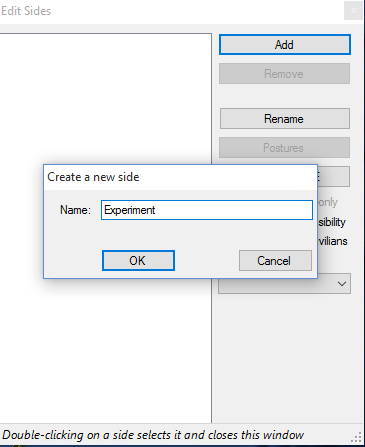 Now go to Add/Edit Sides: To go to a side, click Add and enter a name. The side name has nothing to do with what types of units it can deploy. So you can have the “US” deploy T-72s, “Russia/USSR” deploying F-22s, or the “Weirdville” side deploying F-15s. You need at least two sides for a proper scenario. Go to “Postures”, and (for the sake of combat), make the first side hostile to the second. 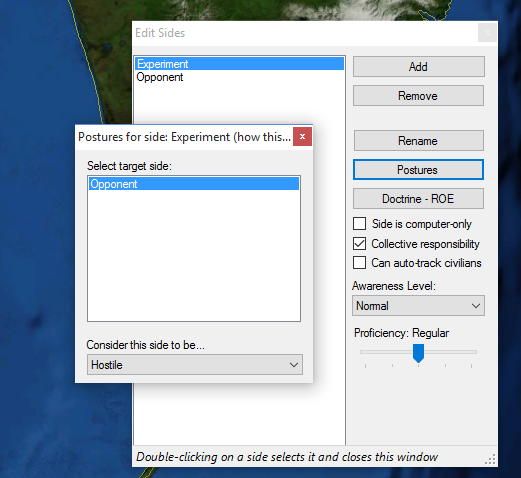 Then double click on the second side and make it hostile to the first using the same method. Once they’re in place, switching becomes a lot easier, as shown here. Go to “Add Unit”, then click on a spot on the map. Ships and subs need to go in water, land facilities only on land, and aircraft need a place to land. 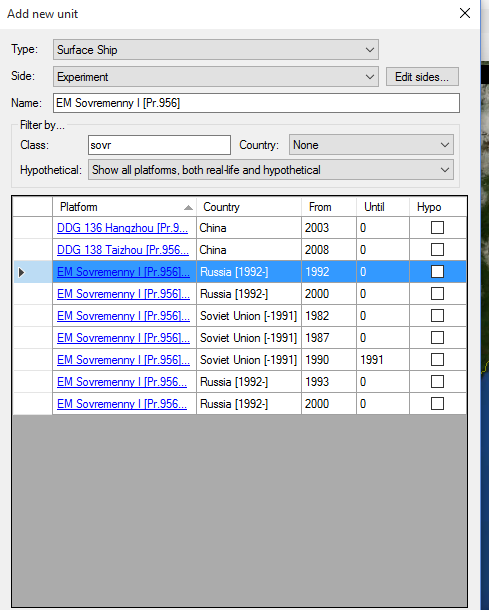 You can either select by country, or type in something (like Iowa) and see the results automatically narrow down, in this case towards the various versions of Sovremenny destroyers. Then it should be there, for you to access, move around, and fire. Adding aircraft is a little trickier. First, you click on a unit capable of carrying aircraft to select it (anything from a ship with a helipad to a huge integrated airport, but often a Single-Unit Airfield). 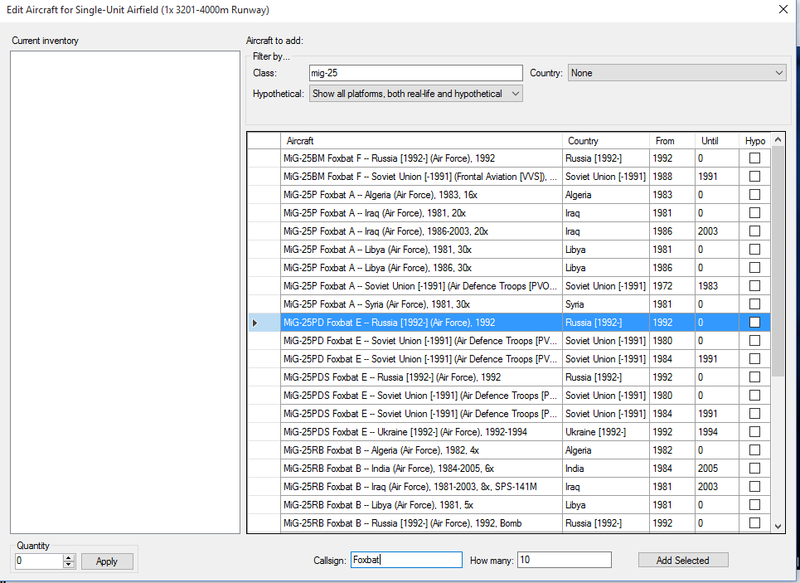 Then you go to “Editor” and select “edit aircraft”-this will be grayed out if a compatible parent is not selected. Once there, similar to “Add Unit”, you narrow down the aircraft. 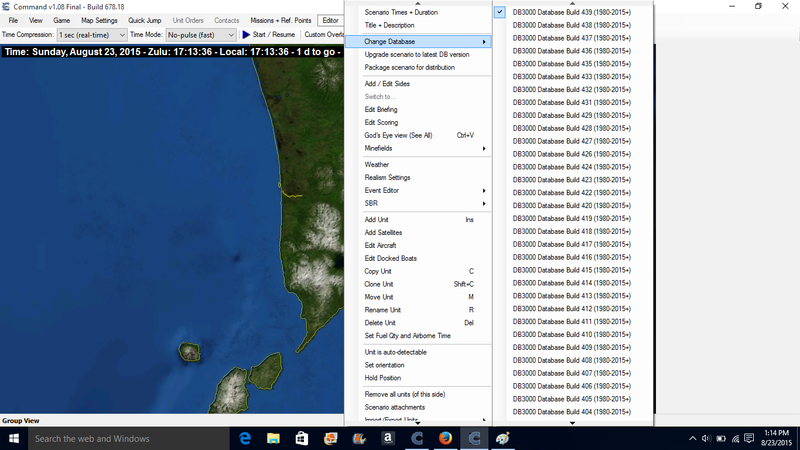 Add a callsign, which can be a realistic one or stylized, but will cover the whole flight, added under “How Many”. Many smaller airbases or ships can’t hold many aircraft, so you’ll get an error message if you try to add too many. For single-unit airfields with a long enough runway, you should be all right. There’s a lot more, and actually getting the added units in fighting condition will be discussed in a later update. 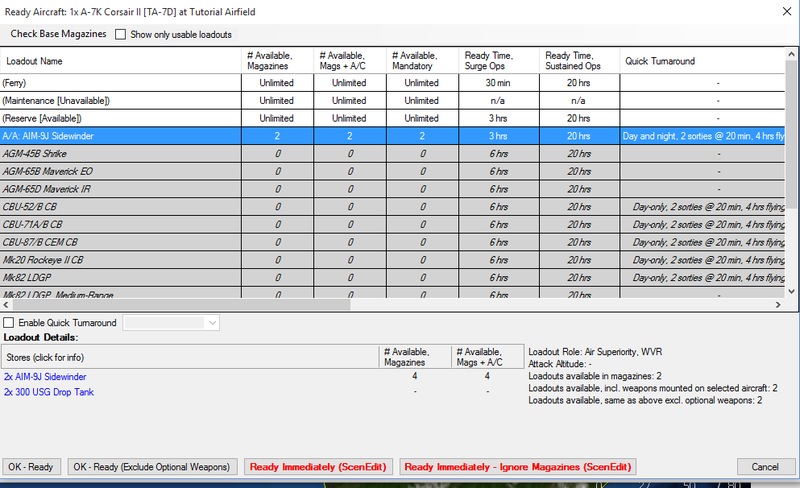 For now, this has show the basics of adding units using the scenario editor in Command.